*Includes fifteen BONUS! writing exercises that you will not find in the original series. In "Bird by Bird,", Anne Lamott says a writer needs to focus on short assignments to avoid feeling overwhelmed. She refers to the one-inch picture frame on her desk and how it reminds her to focus on bite-sized pieces of the whole story. If you focus on one small thing at a time, the story will eventually come together to create a whole. The same applies to learning writing craft. If writers focus on one aspect of the craft at a time, the process will seem less daunting, and piece by piece, it will come together. With more than ten years’ experience as an editor and writer of English Language Teaching (ELT) materials for various ELT publishers worldwide, I know that “breaking down” language into smaller focus areas is an effective learning method. After much experimentation on myself, and volunteer aspiring writers, I discovered it is extremely effective with creative writing too. And so the "Writing in a Nutshell Series" was born. 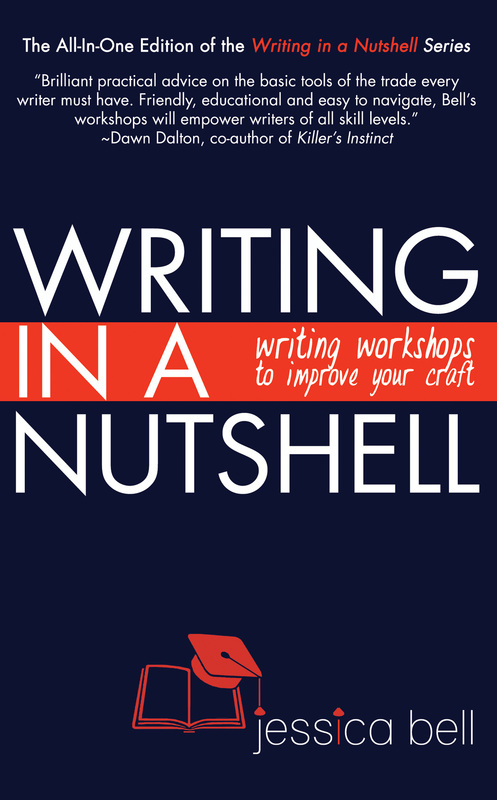 This book is the all-in-one edition of the three "Writing in a Nutshell" workbooks: "Show & Tell in a Nutshell: Demonstrated Transitions from Telling to Showing"; "Adverbs & Clichés in a Nutshell: Demonstrated Subversions of Adverbs & Clichés into Gourmet Imagery"; and "The Six Senses in a Nutshell: Demonstrated Transitions from Bleak to Bold Narrative." In each book, I guide you through a variety of “before” and “after” writing examples demonstrating the transition from weak to strong writing, and encourage you to follow my example through clear and simple self-teaching steps. Not only is this all-in-one workbook an excellent addition to any creative writing course, but also a great primary learning tool for aspiring writers. Even if you’re an established writer, the exercises in this book will keep you at the top of your game. What are you waiting for? Get cracking on improving your writing craft!